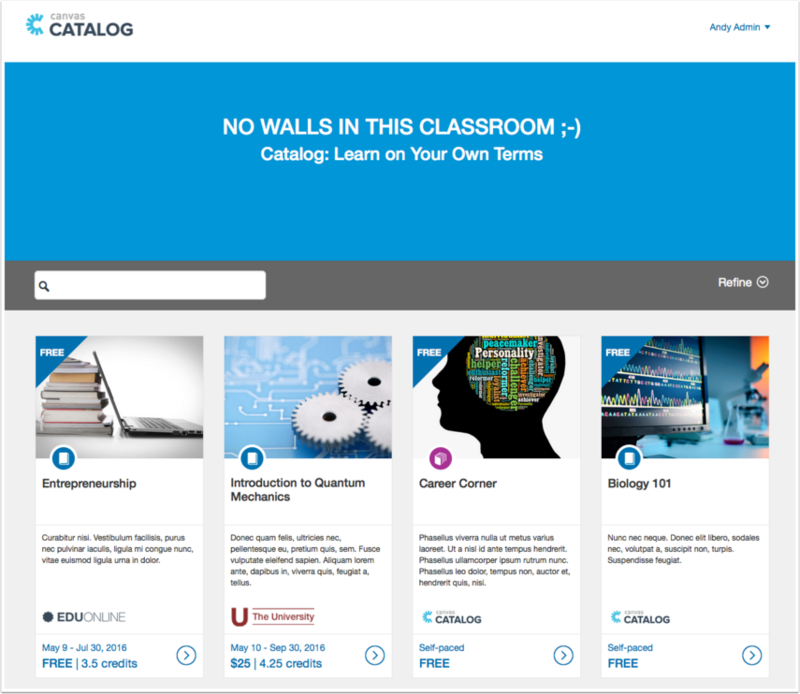 Canvas Catalog is an elegant, all-in-one learning solution that includes a course catalog customized to your institution, course registration system, payment gateway, and learning platform. Canvas Catalog is native to Canvas, which allows you to publish any Canvas course in an attractive online catalog quickly and efficiently. For more information, visit the Canvas Catalog website. Note: An institution's Catalog Listings page cannot automatically narrow displayed listings to recommend courses to specific students. 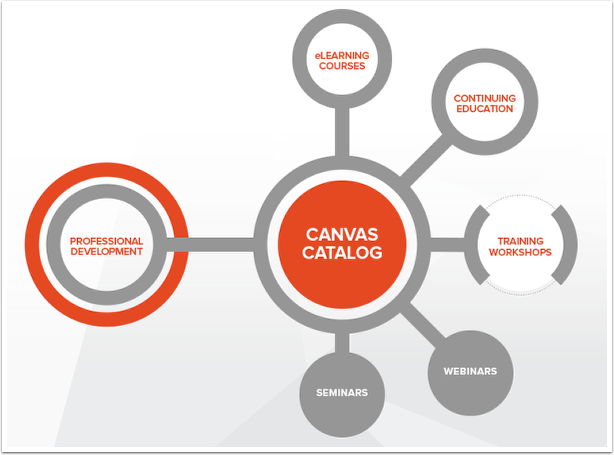 Within a Canvas Catalog account, institutions can manage all course and program listings, manage catalogs, create promotional codes for paid listings, view account reports, and access the API. Institutions can also add certificates, which are automatically issued upon student course or program completion. No extra paperwork is involved. 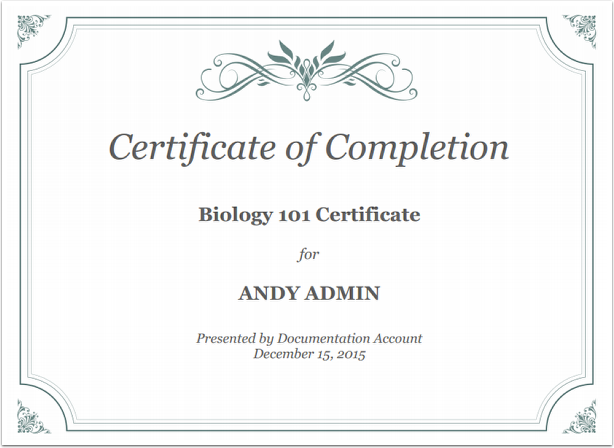 Certificates can be set to a default template or designed with custom with HTML/CSS. Next Topic:How do I use my institution's Catalog? Table of Contents > All Users > What is Canvas Catalog? Re: Does Canvas offer the ability to take online payments for courses? Re: Ever monetize course registration and access?